The financial regulator’s refusal to take further action against Royal Bank of Scotland over its treatment of business customers is “unacceptable”, according to Yorkshire MP Kevin Hollinrake, co-chair of the All-Party Parliamentary Group for Fair Business Banking. The Financial Conduct Authority (FCA) had been investigating the activities of the bank’s restructuring unit in the aftermath of the 2008 financial crash. RBS transferred around 16,000 of its small-business customers it said were struggling to its Global Restructuring Group (GRG), promising the unit would help owners rebuild their finances. Instead, many were forced to take expensive new loans that incurred hefty fees and punitive fines for late payment. Others were pressurised to sell their assets cheaply, often to West Register, the bank’s own property division. An interim report by the FCA in February described GRG staff behaviour as “disgraceful”, “inappropriate”, “systematic” and “endemic”. Customers felt “poorly treated, bullied, threatened, often exploited”. But despite that, the interim report drew short of apportioning blame and found no evidence that the taxpayer-backed RBS deliberately transferred customers to profit from them. And it only saw the light of day at all because the Treasury Select Committee, exasperated at the FCA’s refusal to publish, invoked parliamentary privilege to release it. 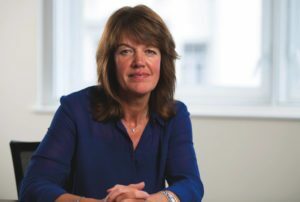 Last week, the FCA said it had completed the second phase of its inquiry, in which it investigated whether further action was merited against senior management. But FCA director Andrew Bailey’s decision that its powers do not apply to an unregulated business such as GRG, and his assertion that any action would have had limited chances of success, have drawn the ire of MPs, GRG victims and their lawyers. Hollinrake said it was “incredible” that the FCA had found no evidence that RBS had deliberately sought to profit from pushing businesses into GRG, despite the GRG staff behaviour detailed in its own report, and added that he believed the regulator did have the powers to pursue its investigation further. “I have no confidence the FCA has robustly investigated the complaints or used all their powers,” he said. He pointed out that the banks were responsible for the financial crash and therefore for austerity, “for which we are all still paying”. He added: “The FCA needs to release its full report. Its promise to release a ‘fuller’ report is not satisfactory. Clive May, who says GRG caused the downfall in 2013 of his Flintshire construction business after he was mis-sold a loan and then had his overdraft facilities withdrawn, told Big Issue North he was “not surprised” by the FCA’s decision to take no further action. May believes RBS was trying to force his business into the ground in order to profit from a government-backed guarantee for the loan – a claim RBS has denied. North Wales Police has passed a file detailing May’s complaints about GRG to the Crown Prosecution Service for advice. Calling the GRG scandal the “biggest mass theft in corporate history”, May said he hoped for further parliamentary pressure but also called for a judicial review into the actions of GRG. His disappointment was echoed by Nicky Morgan, the former cabinet minister who is now chair of the Treasury Select Committee. She said: “It will be deeply disappointing and bewildering for those who got caught up in GRG’s actions that the FCA is not able to act. This demonstrates the need for a change in how lending for SMEs is regulated. Businesses that have been compensated by GRG often face gagging orders, while others are pursuing legal cases, so few will go on the record. In February, Alison Loveday, partner at Manchester law firm Kennedys, which has dealt with hundreds of affected RBS customers, said the “vast majority” were not “chancy business people who had overextended themselves”, as the bank made out. Instead, they were “everyday people” who trusted their bank manager. Speaking after the FCA announcement last week, Loveday questioned its assertion that it could not act because GRG was unregulated.